TOPPLA provides different kinds of walls for your choice. 30mm double-skin walls are good options for construction sites. The smooth appearance allows customers to paste posters. Standard accessories: Metal base, Mirror, Doorknob, Hook, Paper holder, Basin, Water pump, Flush Pump and Vent. Optional accessories: Urinal, Valve, Soap dispenser, Light, Exhaust Fan, Solar Light. Warranty: 1 year for the pump and 6 years for the other parts. 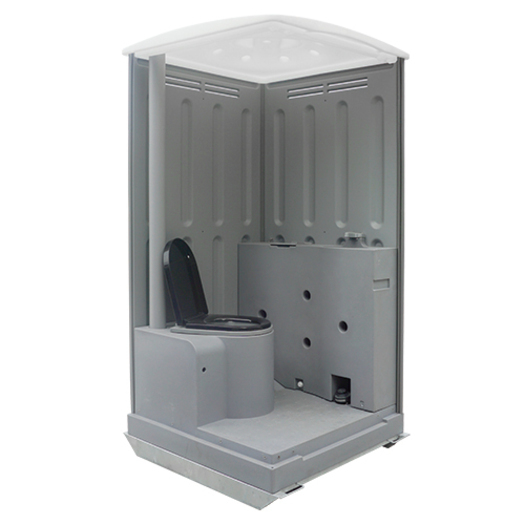 TPT-H03 is a flushable seated type toilet, which has a metal base at the bottom and is popular in Australian construction sites.